Smashwords is a global ebook distributor serving authors, publishers, readers and major ebook retailers. Smashwords is ideal for publishing novels, personal memoirs, poetry chapbooks, short and long-form fiction, and non-fiction. If you’ve written it, we want to help you share it and sell it! We distribute books to Apple iBooks (51 countries), Barnes & Noble, Kobo (which powers the bookstores of multiple other retailers such as FNAC in France and WH Smith in the U.K.), Flipkart, Oyster, txtr, Baker & Taylor (Blio.com and the Axis360 library platform), and others. To get books in the premium catalog, your e-book needs to have a quality book cover image, a proper copyright notice, and an ISBN no. The author should also format their book according to the Smashwords Style Guide. Smashwords have a program that runs your document and if any errors are found then the book doesn’t pass to the premium catalog. Some of the errors include, having multiple font sizes, inconsistent line spacing, lines overlapping one another, multiple successive paragraph returns to arrange text…etc…All these can be fixed if you go through the Guide. 2. Standard Catalog – This is the Smashwords catalog. Your e-book should satisfy the copyright and content requirements found in the Smashwords terms of service. 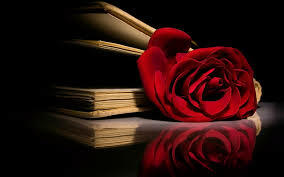 Your book is available on this catalog the moment you upload and publish it to the site. 1. A Finished Story – Polish your story, until you’re satisfied it can be read by others. Download the Smashwords Style Guide and make sure your document is formatted according to the instructions in the book. This is really important as your .doc is then turned into different types of e-book formats. If it’s formatted wrong from the start, your book won’ t make it to the Premium Catalog. 2. A Title for your story – Make it unique, and eye-catching. 3. A Book Cover – Smashwords needs a good quality cover, usually a cover with a 1,600 width and 2,560 height. The minimum width should be 1,400. Make a pleasing cover. – A Description of your story – This is the synopsis of your story. That short paragraph behind a book that makes you want to read it. Write one that fits your story. 4. Smashwords Categories – Smashwords classifies their books in the following categories: Fiction, Non-Fiction, Essay, Plays, Screenplays. These categories are then broken down into different genres. So if you’ve written Fiction, you should go ahead and choose a category of fiction, that is, Romance, Mystery, Thriller, e.t.c. E-pub – Widely used by readers on Apple Ibookstore, Sony, Kobo, Barnes & Nobles and Aldiko. It’s the most popular format, and if your .doc fails to pass through the Smashwords check, you get autovetters because it failed the e-pub check. The Smashwords guide can help you sort out autovetter errors. If you have issues, check the Smashwords FAQs and you’ll find your answers. Palm Doc (PDB) – Used by readers on palm pilot devices, Windows Mobile Pocket PC/Smartphones, Symbian OS, Palm OS. You can choose all formats, or choose certain formats. The file you upload should be a Word Document with a .doc extension. Trust me, this makes it easy for you. 6. ISBN No. – To get your book in the Premium Catalog, you need an ISBN. Now, Smashwords offers FREE ISBN Nos. You can assign a Smashwords ISBN no. to your book. 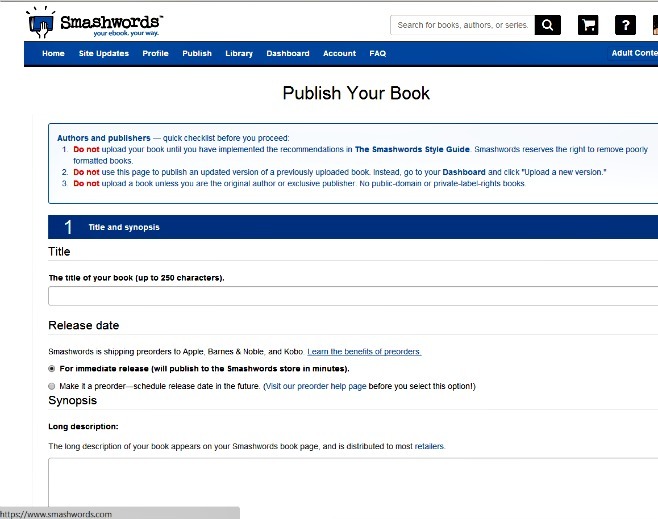 If your book previously has an ISBN, Smashwords allows you to assign it to your book. 7. Pricing and Sampling – So, you’re in Kenya, you’re wondering how to deal with pricing your e-book. After all, Smashwords only does Dollars. Yikes! Two years ago, this was a challenge, but Paypal and Equity Bank recently made a deal that is making life easier for all of us online business people. ^_^ So, whatever the content of your book, if you can market it, then by all means price it and make extra money. The minimum price you can set in Smashwords is .99 cents. (Edited) If you manage sales of more than $10 a month, Smashwords pays the money into your Paypal account at the end of the month. As for you accessing your money in Kenya, Paypal works with Equity Bank…read more here. READ the Smashwords FAQs for any other questions you might have. If you have all of the above, you’re definitely ready to hit Publish after agreeing to the Smashwords publishing agreement. This is one avenue you can pursue if you’re thinking about writing books. The best part is that once you publish the book, and leave it to circulate in the different online stores that Smashwords ships to for years. Don’t unpublish it because then the book loses momentum. You can publish Fiction or Non-Fiction books. Don’t forget to market the books offline and online. Great . I’m in the process of publishing a travel journal with them. Great, they are really easy to work with.